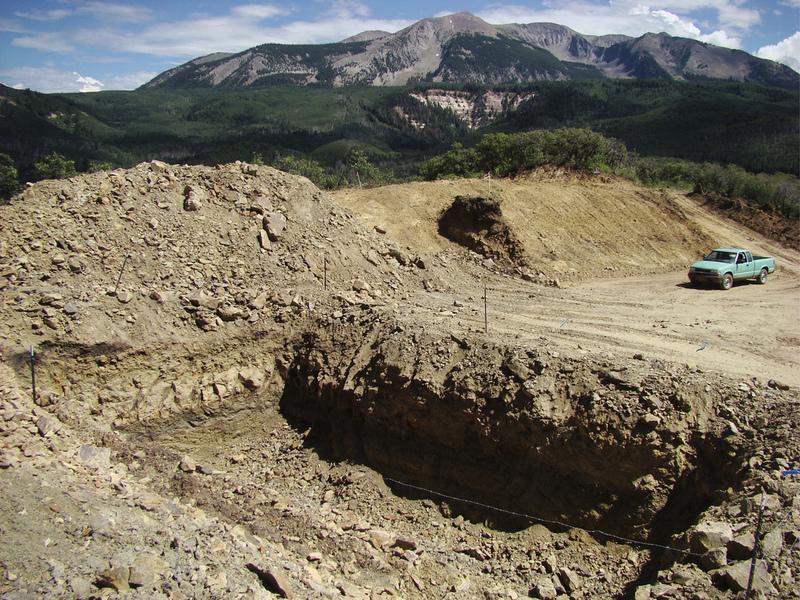 November 9, 2012 by Ken Ward Jr.
Construction of methane venting pad above West Elk coal mine in Gunnison County, Colorado. Photo by U.S. Forest Service. Smokey Bear has turned his back on Colorado’s natural, roadless lands … Instead, the Forest Service has literally paved the way for a coal mega-corporation to destroy real bear habitat. The Sunset Roadless Area is a beautiful forest of aspen and giant spruce, beaver lodges and meadows, a home for elk and hawks. This is a place the Forest Service should be protecting for all Coloradoans, not sacrificing to appease special interests. One interesting point here is that Arch Coal’s West Elk Mine is located partly in Gunnison County, Colo., one of only two of the top 25 U.S. coal-producing counties to vote for President Obama’s re-election. The conservation groups won an appeal in February 2012, overturning the Forest Service’s initial approval of this expansion, when the Forest Service concluded that it had failed to explain weakened protections for lynx, bald eagles, and measures meant to prevent landslides. The loopholes built in to the Colorado Rule leave 20,000 acres of pristine forest on Colorado’s West Slope open to destruction by coal mines. With this decision, the Forest Service rubber-stamped Arch Coal’s plan, and greenlighted use of these loopholes to bulldoze through wild forests.